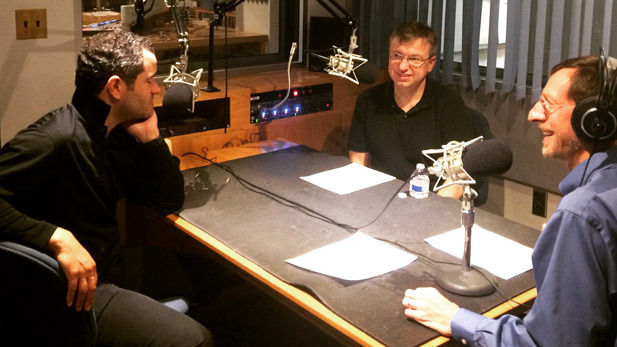 March 17, 2016 / Modified apr 7, 2016 2:29 p.m.
Andrew Grams and Christopher Pfund speak with AZPM's Andy Bade about their concert with the Tucson Symphony Orchestra and Chorus and the Tucson Arizona Boys Chorus. The Tucson Symphony Orchestra and Chorus, Tucson Arizona Boys Chorus, and guest soloists perform Carl Orff’s “Carmina Burana.” Guest conductor Andrew Grams and tenor soloist Christopher Pfund spoke about the concert with Andy Bade in the KUAT-FM studio. Mozart's "La Clemenza di Tito"